Learn More About The Cereal Splashback Lineup! 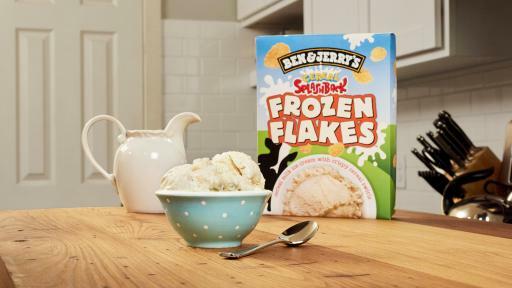 South Burlington, Vt., March 7th, 2017 – Ben & Jerry’s is giving everyone a taste of the days of carefree (and responsibility-free) Saturday mornings with a new lineup of ice cream flavors inspired by cereal, available in Scoop Shops starting on March 7, National Cereal Day. 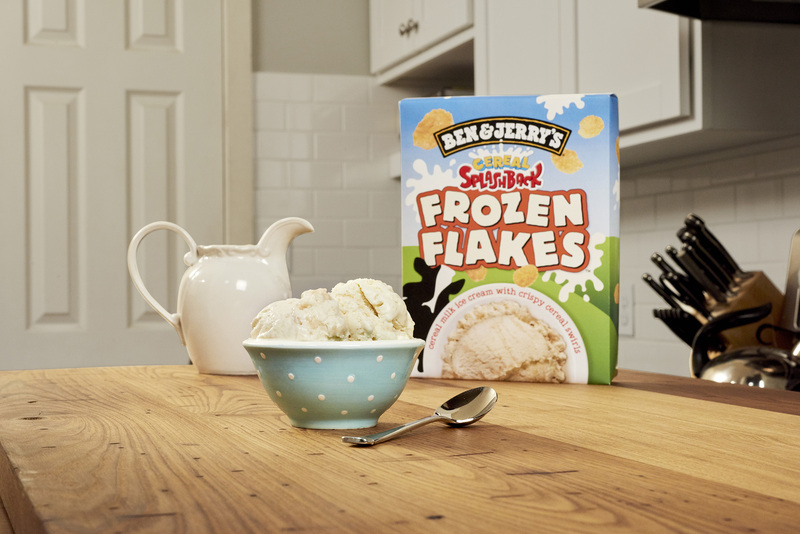 The three new Cereal Splashbacks bring the awesomely unmistakable taste of some favorite milk-splashed morning cereals, just frozen. 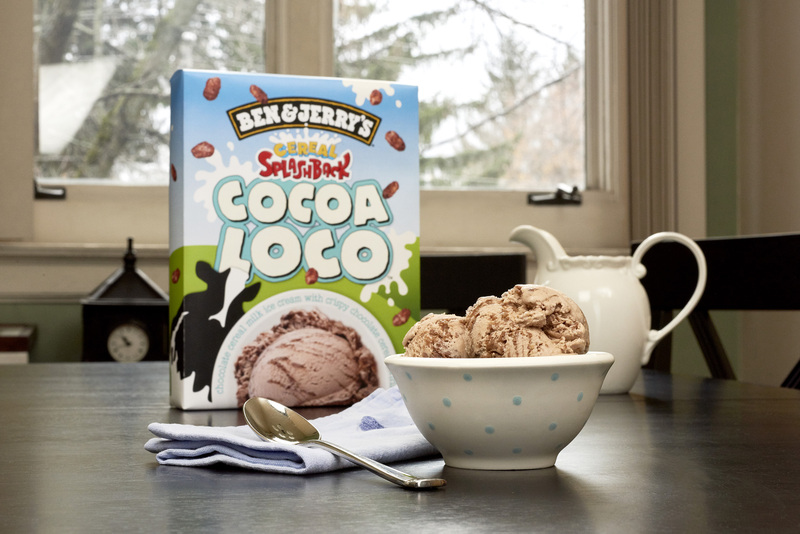 The new flavors pay a nostalgic tribute to childhood cereal favorites, and the Cereal Splashbacks are available only at Ben & Jerry’s Scoop Shops. 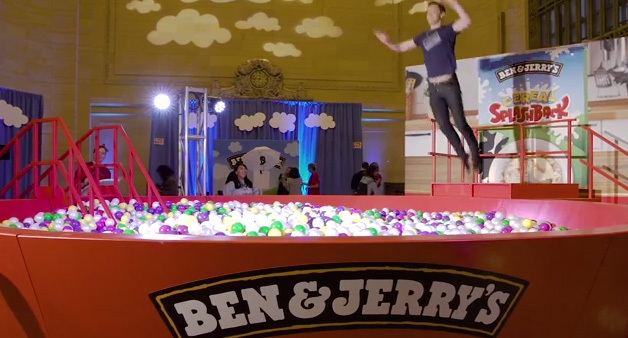 To officially unveil the new flavors, Ben & Jerry’s is encouraging fans in the Big Apple to join them for an epic celebration at New York City’s own Grand Central Station. 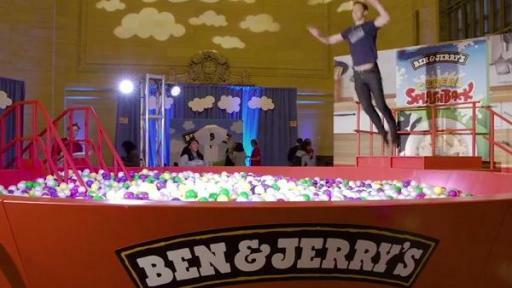 From 9 a.m. -7 p.m. in Vanderbilt Hall, fans will have the once-in-a-lifetime opportunity to jump into a larger-than-life cereal bowl ball pit, indulge in plenty of free samples of all three new Cereal Splashback flavors, and have the chance to take home free Ben & Jerry’s for a year! To make it that much sweeter, Cereal Splashbacks will be available this September in New Zealand, Singapore and Australia. 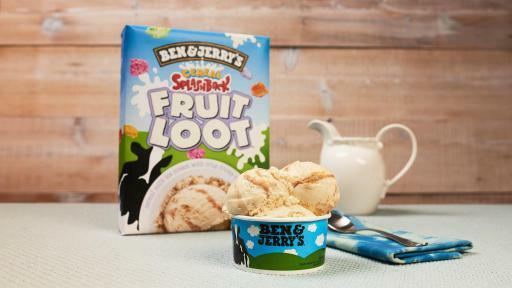 As an aspiring social justice company, Ben & Jerry’s believes in a greater calling than simply making a profit for selling its goods. The company produces a wide variety of super-premium ice cream, yogurt and sorbet using high-quality ingredients. 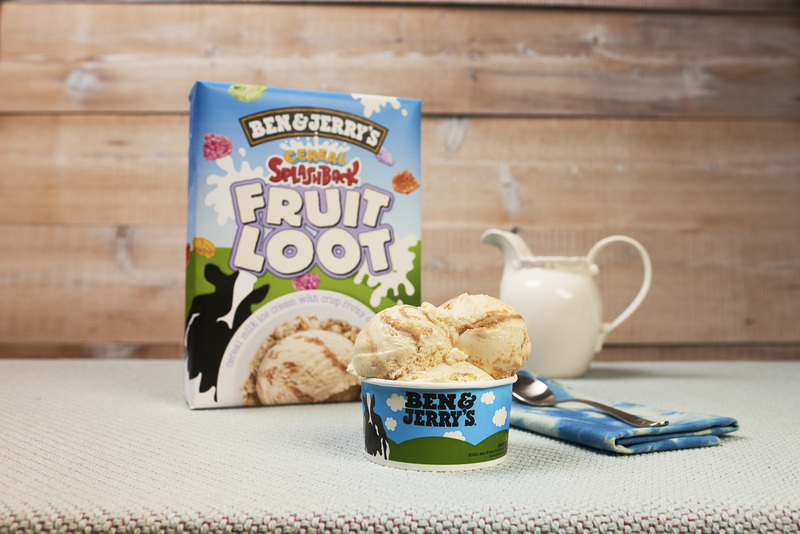 Ben & Jerry’s incorporates its vision of Linked Prosperity into its business practices in a number of ways including a focus on values-led sourcing. In 2015 the company completed its transition to using entirely non-GMO (genetically modified organisms) ingredients by source as well as to fully source Fairtrade-certified ingredients wherever possible, which benefits farmers in developing countries. 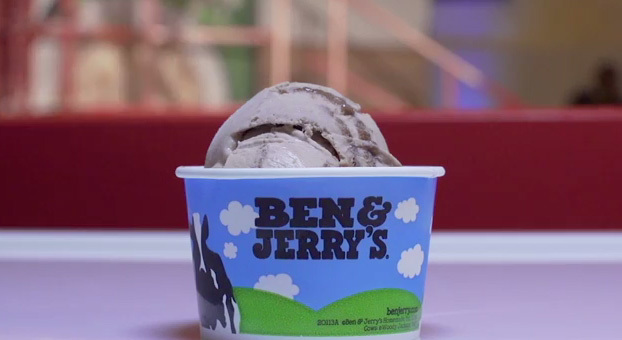 Ben and Jerry’s products are distributed in 35 countries in supermarkets, grocery stores, convenience stores, franchise Ben & Jerry’s Scoop Shops, restaurants and other venues. 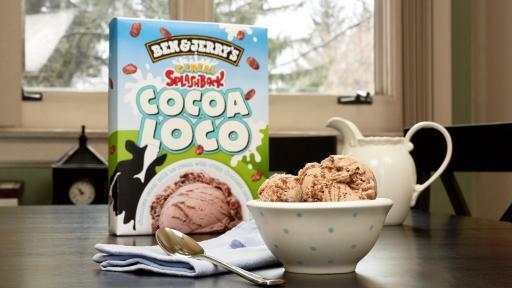 Ben & Jerry’s, a Vermont corporation and wholly-owned subsidiary of Unilever, operates its business on a three-part Mission Statement emphasizing product quality, economic reward and a commitment to the community. Ben & Jerry’s became a certified B Corp (Benefit Corporation) in 2012. The Ben & Jerry’s Foundation’s employee-led grant programs totaled $2.5MM in 2016 to support economic and social justice, environmental restoration, and peace through understanding. For the inside scoop on Ben & Jerry’s visit www.benjerry.com.